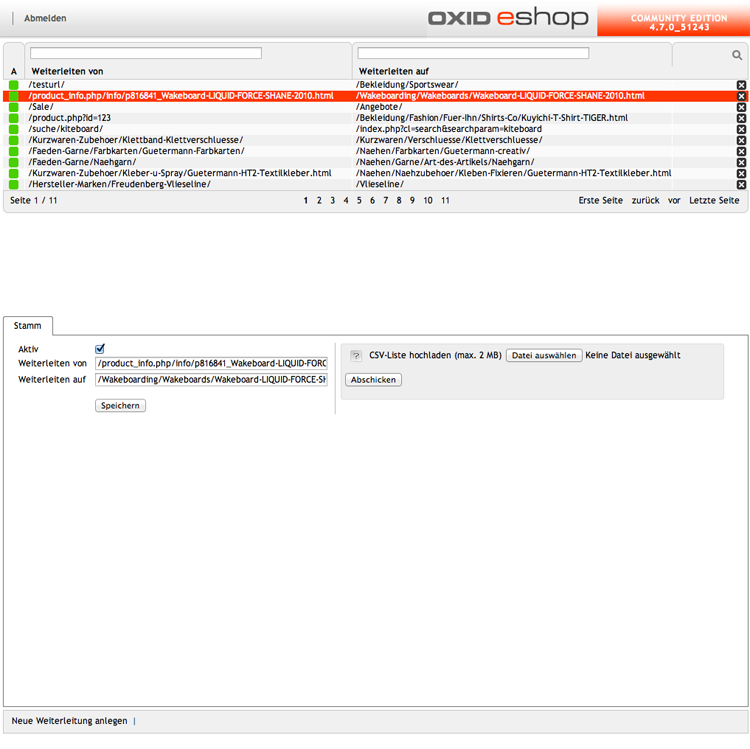 OXID eXchange | FATCHIP OXID Plugin Redirect 1.11.1 Sourcecode | Stable | EE, PE | 4.7.x - 6.1.x | Module, Themes, Language Packs direkt herunterladen! With the OXID eShop Plugin Redirect you can draw up and process redirects. They can be easily administered in the OXID admin area. Furthermore, csv files with the redirects can be imported; hence, redirects do not have to be created individually. 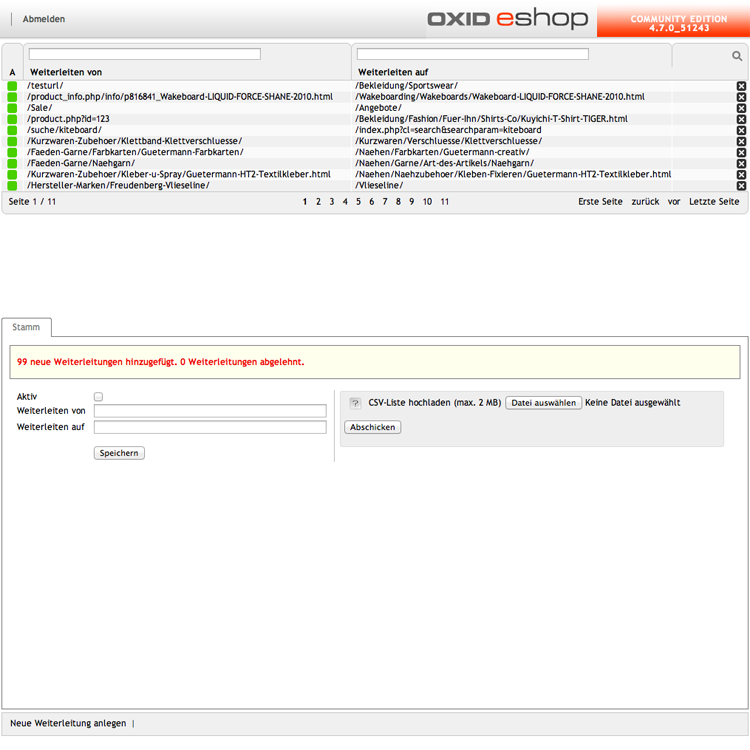 A mechanism checking your entries and preventing false entries such as the multiple creation of redirects, is integrated in the OXID eShop Plugin Redirect. The redirects' status code can be individually defined from plugin version 1.2.0 upwards. Therefore, the status codes 303, 307 or 410 can be used. 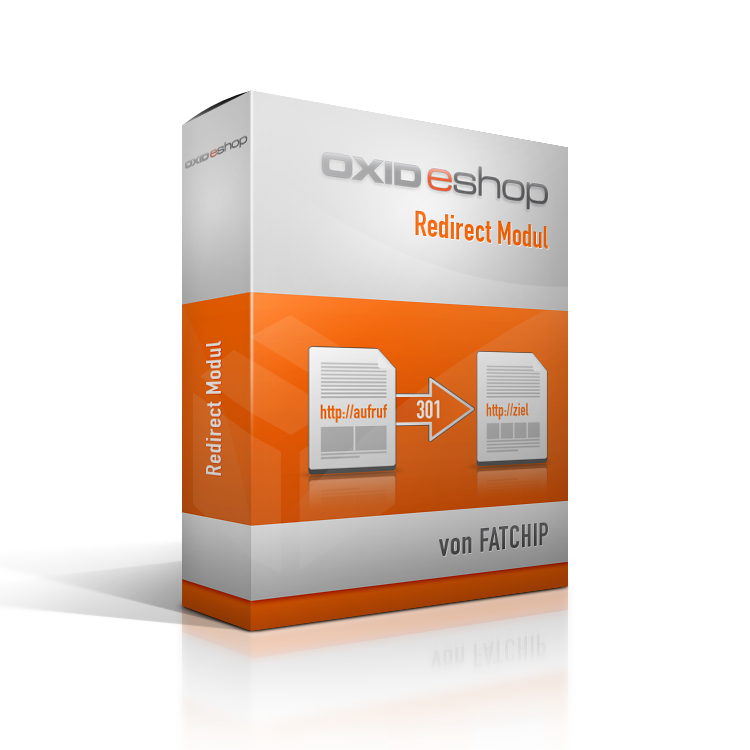 The OXID eShop Plugin Redirect can accompany you at your next relaunch or shop update! Our plugins are delivered open-source and are tested up to PHP 7. Please fill out the PDF in the download section and send it - including a proof of payment - to us, preferably via email.